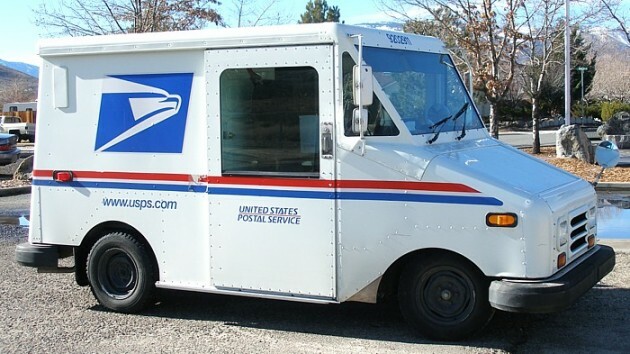 In case you haven’t heard, the nation’s fleets of United States Postal Service mail trucks is currently on the precipice of a huge change—the traditional, instantly-recognizable Grumman “Long Life Vehicle” mail trucks of the past 30 or so years are set to be replaced. Currently, the answer to who will make all of these vehicles is one of five finalist automakers: Workhorse/Hackney, AM General, Karsan, Mahindra, and Oshkosh. Of particular interest to groups like the Sierra Club and other environmental groups, though, are Workhorse (based in Loveland, Ohio) and Mahindra (based in India). This is because their proposed models are the only finalists to offer electrified powertrains. Mahindra’s model is powered by a mild hybrid powertrain with a 2.5-liter inline-four-cylinder engine produced by General Motors. Meanwhile, the Workhorse model is based on the company’s W-15 range-extended electric pickup, which can travel 80 miles on electric power before a two-stroke motor kicks on as a range extender. The Sierra Club and a dozen other groups penned a group letter to the USPS to persuade the postal service to choose an electrified truck, with the Sierra Club going so far as to urge its members to tweet at the USPS to encourage the same goal. “Because the Postal Service delivers to every address in the nation, they have a unique responsibility to consider the impacts of their trucks on its employees, neighborhood residents, and taxpayers,” Gina Coplon-Newfield, Sierra Club Clean Transportation for All Director, said. The advocacy groups seem to favor the Workhorse model, both for the fuel savings of an electric vehicle and for the simple fact that if the USPS does choose the electric model, it would mean the largest electric-car fleet in the world. I personally have a bit of a soft spot for Workhorse, which is based near-ish to The News Wheel’s offices in Dayton, Ohio, and have talked about how I thought General Motors may want to get in on the smaller OEM’s idea of an electric truck. Really, though, use as a mail truck seems pretty much an ideal choice for en electric vehicle, which wastes no gas at idle, wears less on brakes, gains range when in stop-and-go traffic, and could easily cover pre-planned routes every day. Perhaps a success here might help convince the reluctant mainstream automakers that electric trucks could work out.